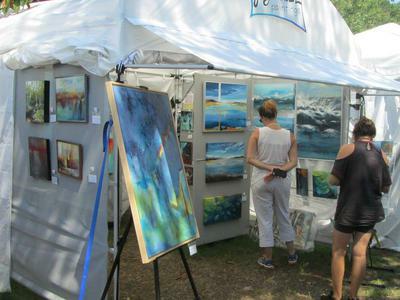 The 38th annual Piccolo Spoleto Outdoor Art Exhibit presents the work of more than 80 artists in a free open air venue the entire community can enjoy at Marion Square in downtown Charleston. 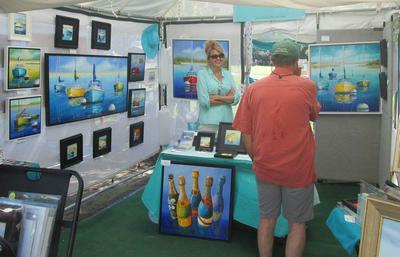 South Carolina’s premier artists set up their ‘art camp’ for 17 days during the Spoleto/Piccolo Spoleto arts festival. 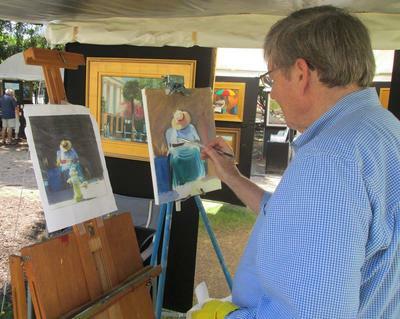 Visitors have a unique opportunity to view painting demonstrations and to connect with artists who are on site for the exhibitions duration. Join in and write your own page! It's easy to do. How? 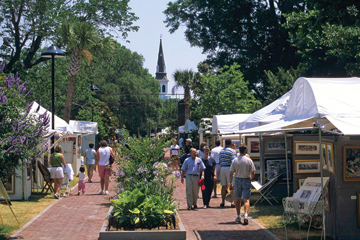 Simply click here to return to Submit Your MAY Charleston Event .